ANTHONY CLAVANE is an award-winning sportswriter. His book 'Promised Land: A Northern Love Story' won both the Football Book of the Year and the Sports Book of the Year in 2011. A life-long Leeds United supporter, Anthony’s second book ‘Does Your Rabbi Know You’re Here?’ was also widely praised, and his latest is entitled ‘A Yorkshire Tragedy: The Rise and Fall of a Sporting Powerhouse’. Being a successful author, journalist, playwright and songwriter; does this more than compensate for the late, great Don Revie not picking you for Leeds United? No. I would have given all that up to be part of the greatest team in football the world has ever seen. Do you really think Leeds as a city is entering another golden age Anthony? Yes. There’s the ambition of Leeds 2023, a year-long arts festival. 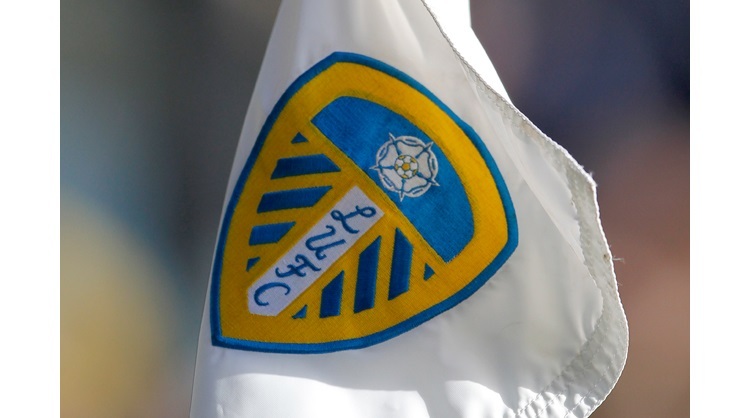 The recently successful Leeds Lit Fest, which celebrated a vibrant and thriving literature scene, and of Marcelo Bielsa’s brave new Leeds United, on the cusp of returning to the Premier League after 15 years in the wilderness. ‘Billy Liar’ is one of my favourite books (and films) and you have described Billy Fisher, growing up in working-class Leeds, as being ‘trapped and fatalistic’ whilst his girlfriend Liz is ‘vibrant, adventurous and ambitious’. Are you more Liz than Billy? I’m a bit of both really. We all are. There is always a tension between the two. Obviously I want LUFC to be the latter, which they are under Bielsa, blessed be his name. Your brilliant novel ‘Promised Land’ has been described as a love letter to Leeds and part memoir, part football, part metaphor; a sort of reminder of our mixed heritage. How would you describe it? That seems pretty apt. I wanted to challenge the myth of Dirty Leeds. And to examine ‘Leedsness’ through its football team, writers and immigrant communities. You were brought up in North Leeds and worked on the family market stall ‘Dave’s’(named after your grandfather). Was this a good grounding for you? Yes. We sold cake decorations and toiletries – an interesting combination. I always worked on the toiletries and never progressed to cake decorations, which is still a source of regret. According to family myth my great grandfather had the original stall next to Michael Marks at Leeds Market. Whatever happened to him? You once said the person you would most like to be is Rosa Luxemburg. An extremely complicated personality to many, what do you admire in her? She was an enormous inspiration, both as a writer and a political activist. Being a Jewish woman leading a radical movement, she was a pioneer and so far ahead of her time. In stark (sic) contrast to this you have also posed naked for a life-drawing class as part of a ‘Challenge Clavane’ series. What was this all about? Ah yes. Well, I have had a number of incarnations. In one of them the readers of the East Anglian Daily Times had to challenge me to do things, like run a half-marathon, walk on a high-wire without a safety net etc. One of the challenges was the one you have mentioned. I’m game for a laugh. And, as a write, I feel it’s important to search for the 'naked truth'. I saw ‘Promised Land’ in play format with a 35-strong cast and thought it was wonderful. Have you any further ambitions for this or any future projects for stage? Thank you. Yes I have. I am working on a number of projects. More news to follow. You spent a week in prison for handing out leaflets for Nelson Mandela’s release during apartheid; outside the South African Embassy! A chastening experience or uplifting? Both. I was very young and without a family or responsibilities. The Thatcher government had banned peaceful protests outside the South African Embassy – it was then an apartheid country – and Thatcher had invited the SA prime minster to Chequers. There were always marches but I wanted to help raise publicity about Britain’s collusion with racism. I don’t have a criminal record though as, after a week in prison with several others, we were released and in a subsequent trial the police were found to have acted unlawfully. As a sports-writer you have travelled all over the place watching major sporting events (World Cup in Tokyo; Olympics in Beijing; London 2012 for instance). Any favourite highlights? I think Sydney in the 2000 Olympics was a great party. The 50 seconds watching Cathy Freeman winning the 400m final was never surpassed. She is of aboriginal descent and it made a huge statement. Watching Wilkinson’s last-gasp kick to win the rugby union World Cup in the same stadium three years later was another highlight. I always enjoyed watching the Europeans win the Ryder Cup. The worst moment was watching Leeds lose at Valencia in the Champions League semi-final. I’ve heard you rattle off the Leeds team of the 70’s in seconds. You also have a first eleven of Northern socialist writers. Who are they? Yes, the Leeds 70s team is my party trick. The writers keep changing. At the moment there are people like Tony Harrison, Alan Plater, Sheila Rowbotham, Maxine Peake, David Peace, Allen Clarke (not that one), Margaret Drabble, The Brontes (in goal), Alan Bennett and a young Leeds writer I admire, SJ Bradley. Others in the squad: Chris Nickson, John Anthony Lake, Mick McCann, Moscow White, Robert Endeacott, Tom Palmer, Dom Grace. Don Revie’s side were one of the best in the world from 1965 to 1975 and we almost captured that again in 1992 before meltdown. Will we ever recapture that again in our lifetime Anthony? Yes. In Bielsa we trust! What are your feelings about the current issue of racism rearing its ugly head again in football and anti-Semitism in Labour politics. Are there problems that have never really gone away? I first wrote about anti-Semitism and the Left in the New Statesman about five years ago. It’s become more of a problem since then. There are, sadly, some on the Left who are in denial about the anti-Semitic tropes that have been adopted by a small minority who claim to be anti-capitalist. Of course anti-Left organisations have exploited this to discredit Corbyn. But they have been given ammunition by the awful way this issue has been handled. But I must stress that I do not believe the Labour Party is institutionally anti-Semitic. Most members are committed to the fight against racism. As for football, it has grown. I hate to say this, but Chelsea are leading the way by educating their fans in the issue. I think all clubs should follow their example. In 1961, two important events occurred at Elland Road – Don Revie was appointed as manager and Manny Cussins joined the board. In another amazing book ‘Does Your Rabbi Know You’re Here?’ you write about the under-appreciated contribution that Jews have made to football in this country. Cussins contribution to Leeds was predominant, wasn’t it? Yes, it was. He was one of three Jewish businessmen who gave the club interest-free loans when it was about to go under. In those days there very few Jewish directors. Under Cussins, Revie was free to be the genius he became. The same relationship took place between Leslie Silver and Howard Wilkinson when we last won the league in 1992. There have been some big characters at Leeds United over the years. Who has stood out for you most? Eric Cantona? Were mistakes made in not keeping him at Leeds or was it right for him to go? We should have kept him. He could have transformed Leeds the way he did M** U*****. Yes, he was vibrant, adventurous and ambitious, all the things we should be at Leeds. He reminded me of players like Eddie Gray, Terry Cooper, Tony Currie and Duncan McKenzie. We have always had flair players. I think him leaving was far more important than Clough coming and going. We’ve been involved, as a football club and the Leeds United Supporters’ Trust, with the Foodbanks this season. What are your feelings on this; ordinary families resorting to Foodbanks due to financial difficulties? It’s a shocking indictment of austerity Britain. How has this been allowed to happen? It’s become normalised. Since the 2008 global financial crash, the most vulnerable have paid the price – Foodbanks are just one example. So the Trust must be congratulated for undertaking such a fantastic initiative. I wish more people in football would take on social responsibilities. What are your opinions on ‘Safe Standing’ and do you think it should be brought back to all grounds so people can make a choice to sit or stand? Yes. I am 100pc in favour. Atmosphere is integral to the football experience. Which current footballer or writer excites you now. Someone who makes you take notice? Pablo, of course. I like Jonathan Liew, chief sports writer of The Independent. Fintan O’Toole is my favourite political writer. Margaret Atwood remains my favourite living novelist. TV writer: Phoebe Waller-Bridge. What are you up to these days Anthony? I am working on a new book about identity and football, trying to write a play, performing in a band, writing for the Yorkshire Post, Guardian/Observer, New European and, in the autumn, will become a full-time lecturer at the University of Essex. Lastly Anthony, will Leeds be a Premier League club in 2019/20?